Our friends at Founding Farmers stopped out for some new product testing. As they expand their territory, a new location in King of Prussia will be opening this Fall. So the new choice of equipment for that location was the AMF160. 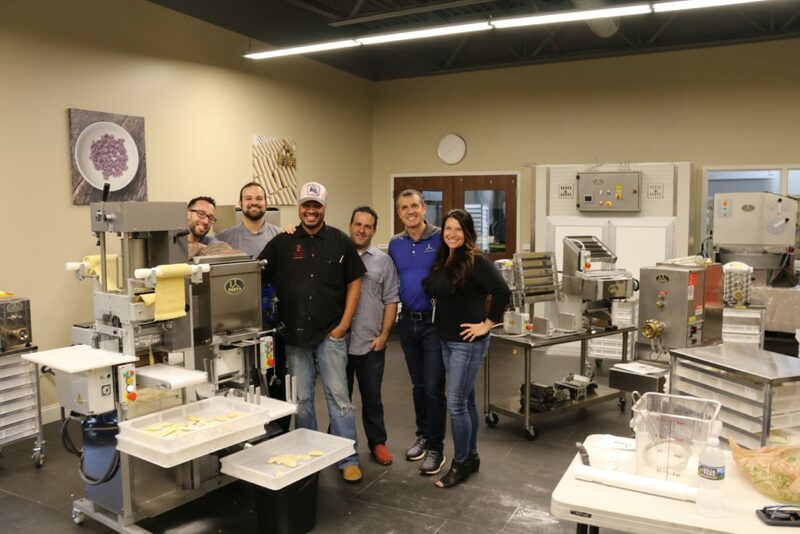 They arrived for hands on training, followed by testing their new custom made ravioli mold. They wanted a “fuller ravioli” and when I say full, I mean FULL! Our in-house machine shop designed and manufactured a custom die for them in order to achieve this.